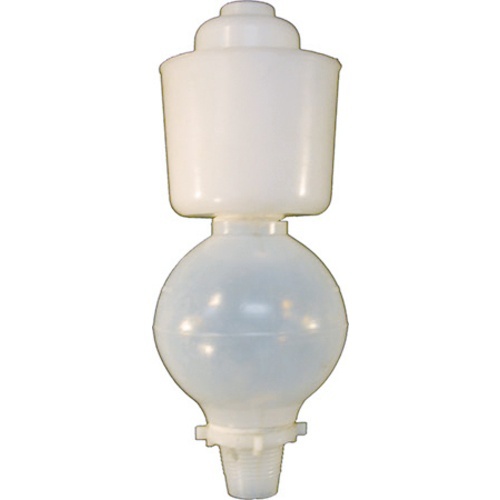 Large plastic airlock for stainless steel variable capacity tanks, or other containers with a thin lid. Features a threaded shaft with back nut and washer. Does not fit either the 500 liter or 300 liter tank. It may work with larger tanks, but the description should make that clear.